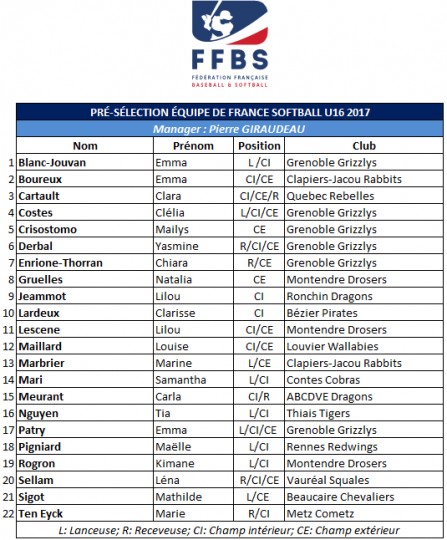 The French Baseball and Softball Federation (FFBS) has released a preliminary roster for the U16 Women’s Softball European Championship in Ostrava, Czech Republic. 22 players are on the team, six alone from the Grenoble Grizzlys. Next weekend they’ll meet for a training camp in Boulouris.